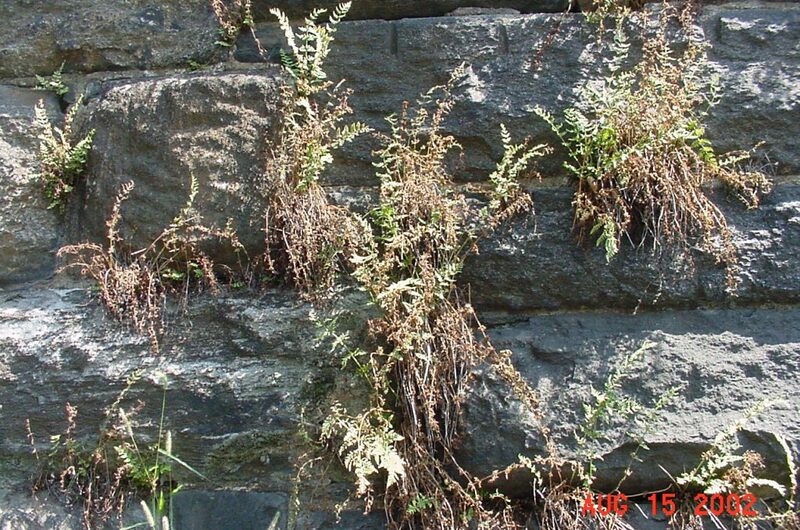 Woodsia.obtusifolia.Marielle Anzelone.Metro North wall. N.Y.C. 8/002 (Accessed 4/2017). 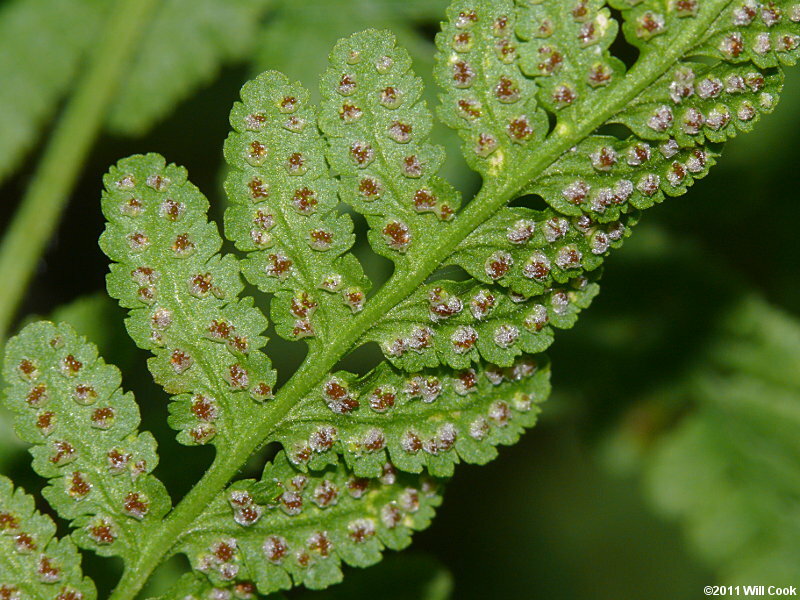 Woodsia obtusa is a fern to 55 cm tall (usually less than 20 cm), from a scaly rhizomes. Leaves in tufts, stalk very short, brittle, base orange, yellow above, somewhat glandular-hairy; white-hairy and scaly when young; blade narrow, to 10 cm wide, twice pinnate-pinnately lobed, midrib hairy, scaly, leaflets 13-18 per side, widely spaced along midrib (rachis), almost stalkless, bluntly, narrowly triangular, hairy below, fertile leaflets narrow, pointed, secondary leaflets 6-13 per side of leaflet, oblong, rounded, deeply pinnately lobed, 4-6 bluntly toothed lobes per side, fertile lobes with margins rolled under over spore cases when young. Woodsia obtusa.spore cases. ©2013 by Will Cook. carolinanature.com (Accessed 4/2017). Spore cases along lobe margins. Frequency in NYC: Very infrequent but locally common on Park Ave. rail trestle, in mortar between stones. 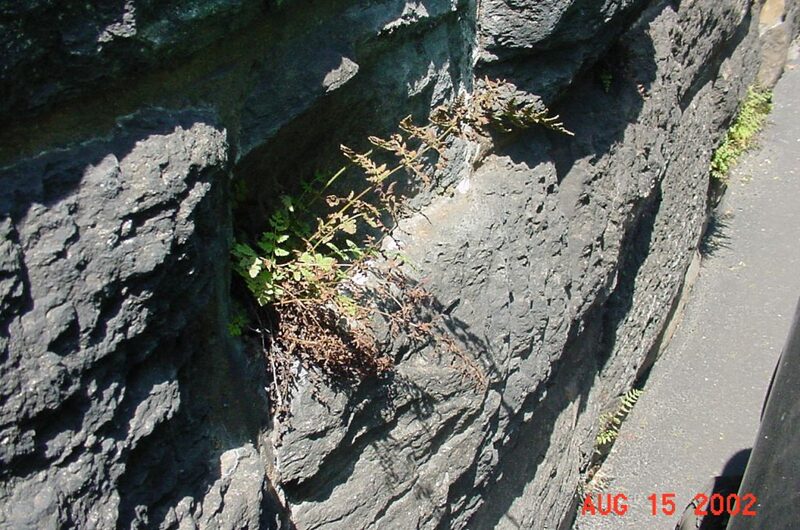 Habitat: Shaded, rocky slopes, in circumneutral soil.